BOCA RATON, Fla., Aug. 14, 2018 /PRNewswire/ — Guna Nutraceuticals is bringing its top-selling botanical supplements to wellness e-commerce site VitaBeauti.com, including Brain Booster, Breathe Easy, Gut Support, Integral Probiotics, Omega Source, Optimal Iron and Proper pH Balance, all of which support a healthy and balanced life. Guna Nutraceuticals was founded on decades of experience with natural medicine by refining formulas with advanced nutrient profiles to maintain health and avoid minor nutritional deficits. Guna Nutraceutical’s top-selling products such as Gut Support for intestinal health, Optimal Iron for iron deficiency and Integral Probiotics for flora rebalance will soon be available on VitaBeauti.com. Each product contains carefully selected botanical ingredients selected for bioavailability and efficacy. Guna is a Milan, Italy-based manufacturer of more than 70 FDA-listed products, and a manufacturer of low-dose and injectable medicines, dietary supplements, cosmetics and medical devices. Guna products are distributed to more than 30 countries worldwide. Guna Nutraceuticals uses GMP certified manufacturers and premium ingredients. Guna Nutraceuticals is a primarily botanical-based product division of Guna Inc., which was founded in 2006 by parent company, Guna, specifically for U.S. distribution. 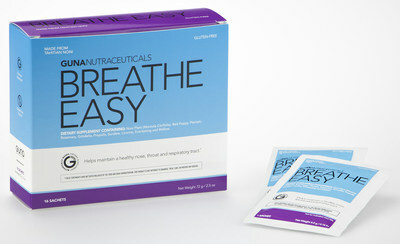 In addition to the three top-selling products described above, Brain Booster helps promote focus, clarity, memory and supports healthy brain functions; Breathe Easy helps maintain a healthy nose, throat and respiratory tract; Omega Source helps maintain normal blood cholesterol levels and promotes normal blood pressure; and Proper pH Balance helps maintain healthy pH levels. For more information on Guna Nutraceuticals, coming soon to www.vitabeauti.com, visit www.gunanutraceuticals.com. Feed a family of 4 whole, healthy food for $125 a week? That's a challenge.